A book can be a child’s first window into the world beyond her neighborhood. It can be a prized possession, a source of comfort, knowledge and amusement – and it can be her first step toward lasting success. Children from households rich in books are more likely to graduate high school. 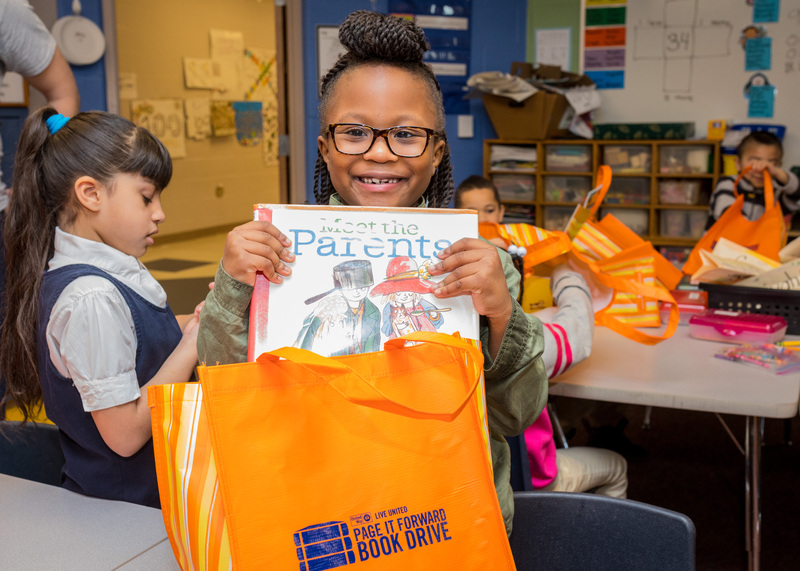 Your donation in support of United Way's Page it Forward Book Drive can help put a child on the path to greater achievement in school, and in life.